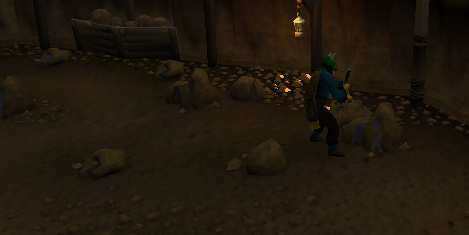 The Mining Guild is home to the best miners in RuneScape, and inside you'll find a slew of Coal rocks, as well as several Mithril rocks to mine. The guild is nothing fancy; essentially a big cave with lots of rocks. Grab your pickaxe and miner's helmet (safety first), and let's go! The Mining Guild is located at the southern end of the Dwarven Mines. 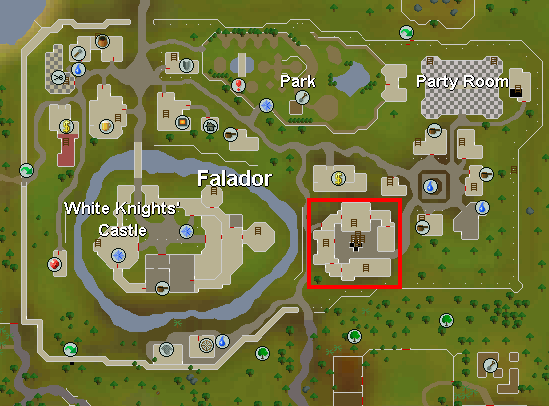 It can also be accessed from ladders south of Falador's east bank. 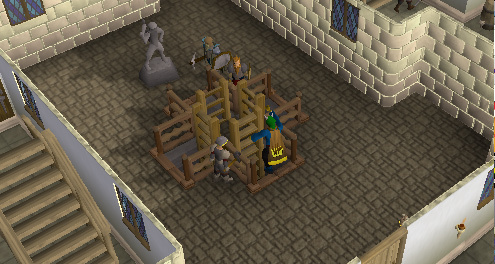 Around the main entrance, you will see dwarves that bar it from regular players. 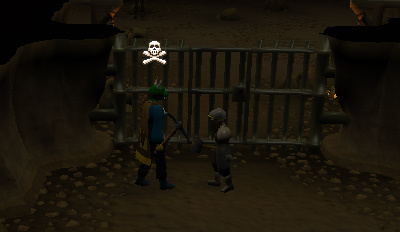 You can speak to one of the dwarves and talk to him about the Mining Cape of Achievement. If you have 99 Mining, you will be able to purchase it from him. The guild does not have much in it. It has 37 rocks containing Coal and 5 rocks containing Mithril. There is a ladder leading to the entrance south of the bank, and there is a gate leading out to the rest of the Dwarven Mines. This is an advantage because you can exit the guild to mine a little more coal, mithril, or even adamantite ores, if necessary. There are usually enough rocks in the guild, so it is common courtesy that if you begin to mine at a rock that's already being mined by another player, that you find another rock.